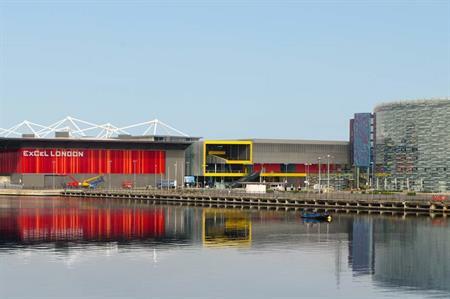 The Professional Convention Management Association (PCMA)'s inaugural Global Medical Meetings Summit will take place at Excel London from 17-20 July 2013. The summit is an invitation-only event for senior medical meeting professionals and medical association CEOs. The meeting will be hosted by Excel London, London & Partners and Grange Hotels. Futurist Magnus Lindkvist will be the summit's opening keynote speaker, engaging participants with a forecast of what life, society and business might look like in the future. Other sessions will cover revenue streams, sponsorships and future funding, effects of governmental regulations, CMEs and the strategic role medical meeting executives can play in organisational success. Deborah Sexton, president and CEO of the PCMA, said: "PCMA was founded as a medical meetings organisation. While our membership has greatly diversified since our first annual meeting in 1956, we have continued throughout the years to provide robust education and resources to the medical meetings sub-specialty. "This PCMA Summit will bring together global leaders who are innovators in the medical meetings industry that can critically analyse and openly discuss possible solutions that would position organisations for success." David Pegler, CEO of Excel London, said: "This is an important summit that will help to define a future vision for international medical meetings. London has a track record in successfully hosting such meetings and it naturally makes sense for our city to host this high profile event. "A summit such as this is vital for the future development of the industry and how medical meetings evolve to meet the economic and regulatory challenges they face. We look forward to working with PCMA to create the perfect environment for this senior delegation and we know London will deliver on this promise."